Lent 2015 Bishop Ken's Talk on our missionary partnership with Beryl Baker in Paraguay is below. Beryl offers the only hope of medical treatment to around 18,000 Indians in the Paraguayan Chaco. She has dedicated 30 years of her life to this area and describes herself as ‘orderly, gynaecologist, midwife and dentist’, treating anything from TB to gunshot wounds and snakebite. The government provides some medicines but offers little else in the way of support. Beryl has trained Indian health promoters to meet some basic community health needs. 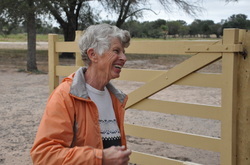 Beryl runs a clinic based on a ranch owned by an American from Texas. The Indians will hitch lifts many miles to seek help from Beryl. Unlike many ranches the ranch has kept many trees and is a haven for wildlife. Beryl has a love for animals, especially horses, though a fear of snakes. When Captain Richard visited from our parishes in 2011, Beryl was looking after a young but very large giant anteater in her front room! Beryl's love for animals and the environment is huge. Yet her deepest love is Jesus and his word. She takes every opportunity to share his life through word and practical care. Every Lent the parishes raise funds for medical supplies for Beryl's work. A big thank you to all who have helped raise funds for Beryl to purchase medical supplies. These have included giving at Lent services and coffee mornings to raise support. These are practical responses to genuine needs. Poor nutrition lessens people’s physical resistance to illness. Prompt treatment can significantly impact people’s lives for the better. Please pray that Beryl would have the the practical resources to enable Beryl to serve and treat those who are suffering. Beryl ministers in a complex, dangerous and demanding environment. Beryl needs prayer and money as getting medicines in Paraguay is fraught with complications. Sourcing medicines of any kind is difficult Beryl tries to obtain medicines on her monthly visits into the capital city Asunción. area of Paraguay. It is one of South America’s last agricultural frontiers, with a semi-arid climate. 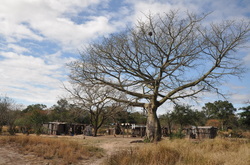 The Chaco lacks all basic infrastructure and modern amenities. The vast majority of people living there belong to indigenous groups living at subsistence level based on cattle farming. Paraguay is a landlocked country in the centre of South America, neighbouring Brazil, Argentina and Bolivia. The Capital city Asuncion is the greenest capital in the world. Due to past civil war the population is lower than many South American countries but it is growing fast, and is now over 6 million. Paraguay's indigenous language and culture Guarani remain very influential although Spanish is also spoken by 90% of the population. 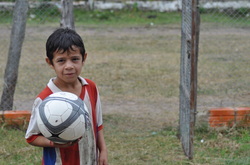 Like many South American countries there are huge differences between the lives of the rich and poor. The weather is also one of extremes with drought and flooding common.